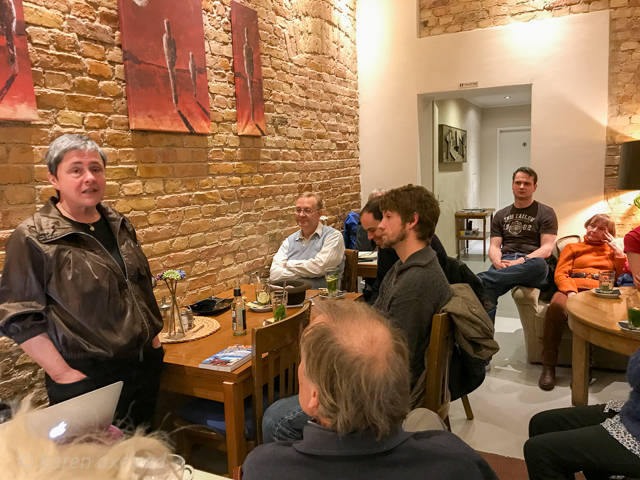 Our next first-Thursday of the month Stammtisch will be on March 7th, at Café Daddy, Kolonnenstrasse50 in Schöneberg, from 8:00 to 10:00 pm. 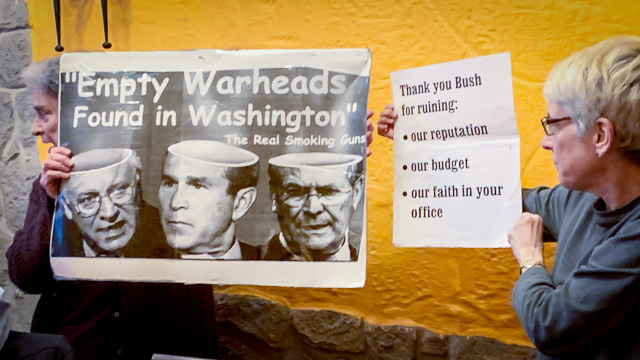 This essay is intended as a contribution to our ongoing discussion of issues. 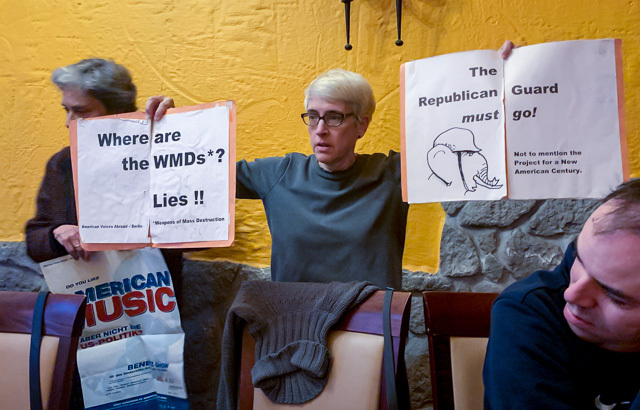 In this opening season of the 2020 elections, with the entry of Elizabeth Warren, Kamala Harris and Cory Booker into the Democratic race, with Howard Schultz lurking as a potential third-party candidate, a lot is being written and spoken about the Democrats possibly moving “too far left.” Some warnings are implicit in journalists’ questions: “Is the Democratic Party losing its centrist base?” Others are more explicit and clearly intended to make discussion of the issues appear irresponsible or worse; witness Howard Schultz’s recent out-of-hand dismissal of Kamala Harris’s embrace of a Medicare-for-all type plan as “unaffordable” and even “not American.” Similar strategies have been employed to exclude discussions about climate change solutions: they have been preemptively labeled as economically infeasible, and numerous attempts have been made to discredit proponents as privileged elitists or unrealistic idealists. This year’s One World Berlin Human Rights Film Festival will run from October 7 (the prologue) to October 20. AVA is co-sponsoring the 6-part documentary series Rest in Power: the Trayvon Martin Story. Parts 1-3 will be shown on Friday, October 19, at 7:00 pm and parts 4-6 will be shown on Saturday, October 20, at 6:00 pm. Both showings will be at the aquarium (Skalitzer Str. 6 at Kottbusser Tor). After the Saturday viewing, there will be time to discuss major issues raised in the film. Admission is only 6 euros for all three episodes on one evening. Guardian review with trailer: https://www.theguardian.com/tv-and-radio/2018/jul/30/rest-in-power-trayvon-martin-jay-z-review. Join us on October 13th—we will meet at Cubix Movie Theater, just off Alexanderplatz at Rathausstrasse 1, at 1 pm. Look for the AVA banner! 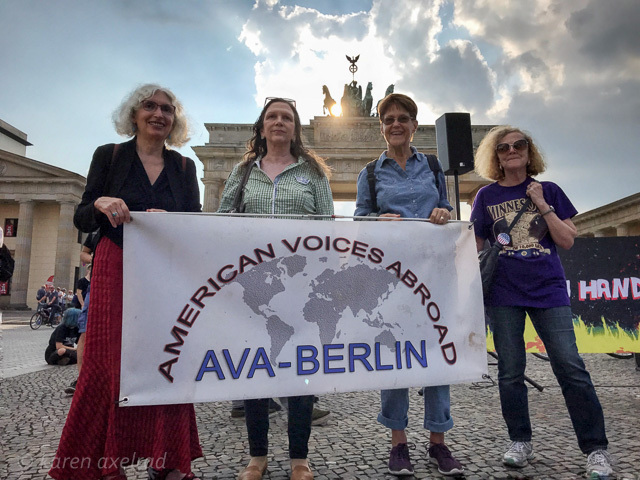 AVA and CIEE (the open campus college study abroad program) took part in the Berlin reads (Berlin liest) campaign on Sunday, September 2. 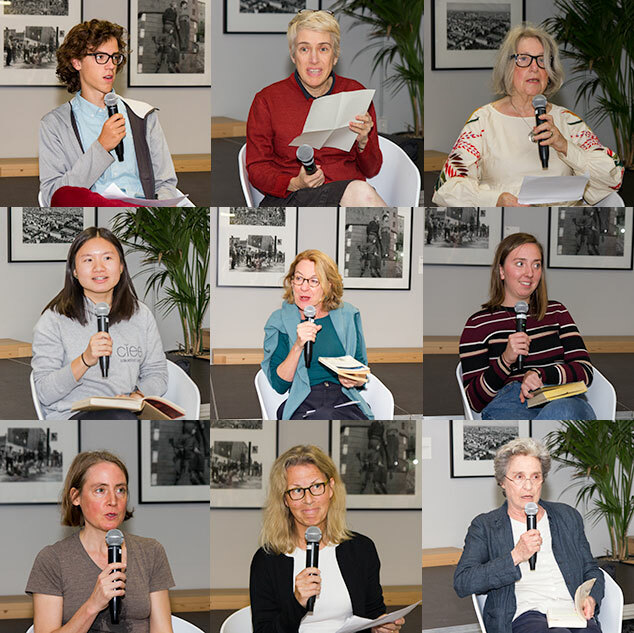 On this day, all Berliners were invited to join the international literature festival berlin by reading aloud from a work of their choice in a place of their choice. In our case, AVA and CIEE chose to read selections of English-language nature writing at CIEE, Gneisenaustr. 27 in Kreuzberg. The program began with an introduction by Isabel Fargo Cole, followed by the readings, and discussion in English. What would a sound, humane immigration policy look like? 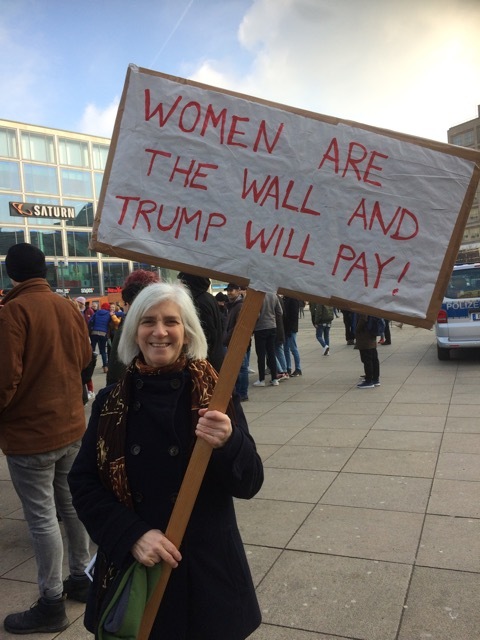 Ann Wertheimer’s speech to protest immigration atrocities (given at the demonstration on June 30 across from the American Embassy) lays out some principles and issues that Congress should consider. Click below for the full text of the speech. 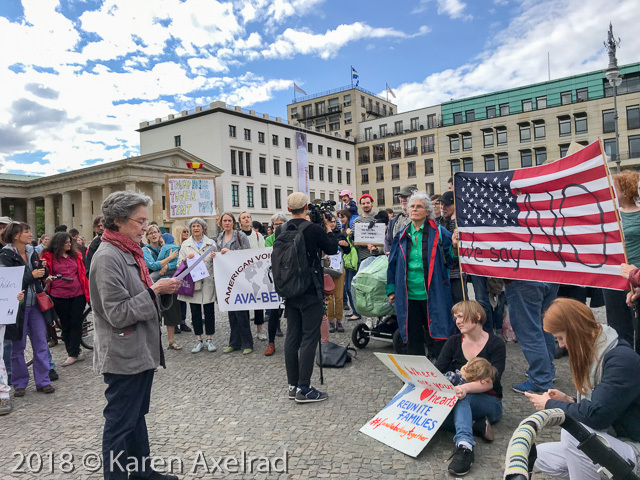 Kita Krise organized a rally in front of the US Embassy on June 22, 2018 joined by AVA-Berlin and Democrats Abroad Berlin to protest the separation of children from their immigrant parents in the US. In the photo below, Ann Wertheimer, chair of AVA is speaking. 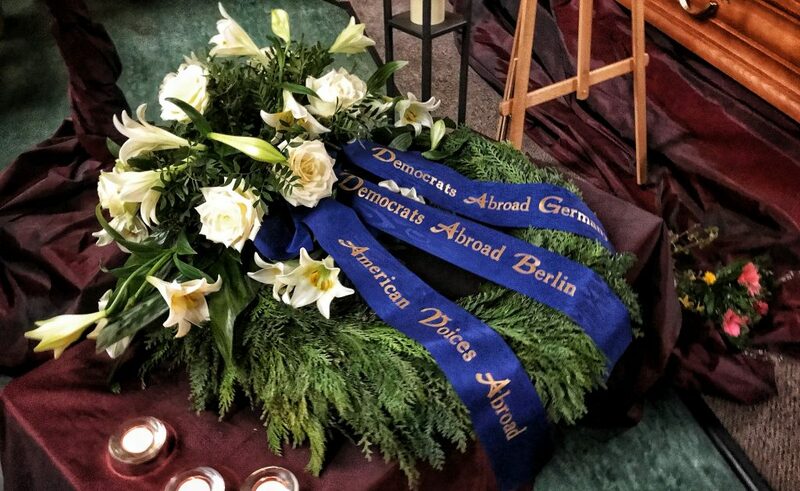 Reverend Dr. William Emerson Downey (28.2.1931 – 24.3.2018) founded the Democrats Abroad Germany – Berlin Chapter and cooperated with AVA-Berlin in many joint activities. 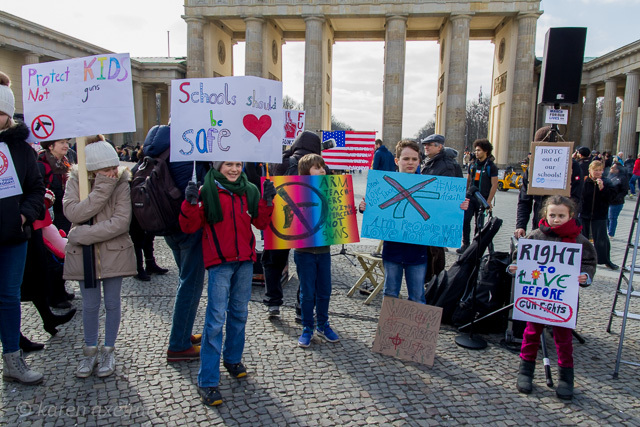 BBC’s lead photo for the worldwide March for our Lives featuring AVA’s own Ellen Brändle! Interview with excerpts from speeches. 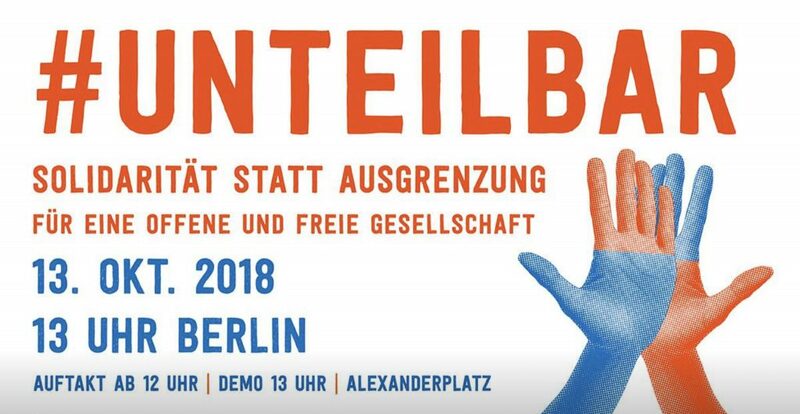 On the afternoon of Saturday, March 17, Aufstehen Gegen Rassismus is organizing a protest march against racism and the radical right. 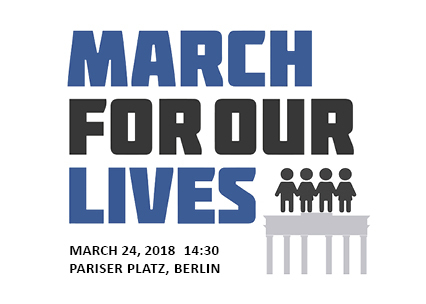 AVA-Berlin will have a contingent carrying our banner from Potsdamer Platz to the AfD (Alternative for Deutschland) headquarters at Schillstrasse 9 near Lützowplatz. More information to come, especially about exact meeting time and place. Join us for our first-Thursday-of-the-month Stammtisch on March 1 at 8:00 pm at Café Daddy, Kolonnenstrasse 50 in Schöneberg. 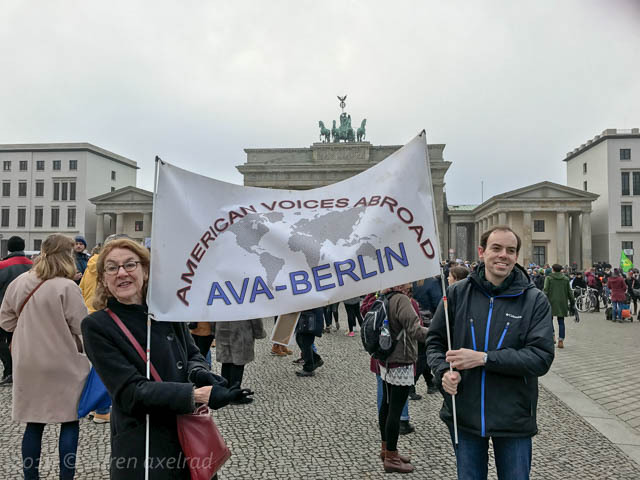 January 21 11 am: AVA is co-hosting the Women’s March along with Democrats Abroad Berlin and The Coalition Berlin and, hopefully, many other groups. Everybody welcome! 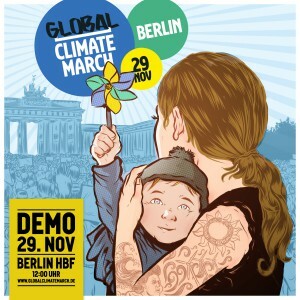 Where: The meeting point will be at the Brandenburg Gate and the march will proceed according to the schedule. 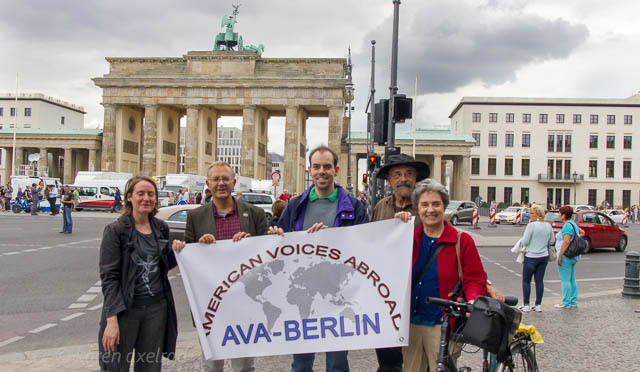 Look for the American Voices Abroad Berlin banner! The first AVA Movie Night of the new year: Saturday, January 13, at 8:30 pm at the Lichtblick Kino (Kastanienallee 77, tel. 030 44058179). Join us for the film DETROIT and a discussion, which will be moderated by journalist, musician, filmmaker, and anti-war activist Darnell Stephen Summers. Join us for our first-Thursday-of-the-month Stammtisch on January 4 at 8:00 pm at Café Daddy, Kolonnenstrasse 50 in Schöneberg. Let’s talk! We had a productive annual brunch with elections of officers on December 10, 2017. The new officers are: ANN (chair) PAM (vice-chair) ADAM (secretary) ALAN (treasurer) JANE (assistant treasurer) ISABEL (associate) and MICHAEL (associate). See previous post below for details. Thanks to Marie Budde of CIEE Global Institute for hosting the reading. 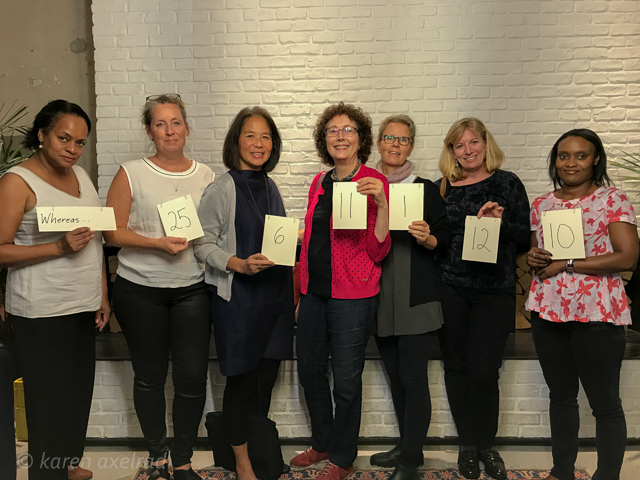 Thanks also to the CIEE students, the AWC (American Women’s Club of Berlin) members, and all the volunteers for participating. September 6, 2017. Click here for the rest of the photos. Join us for our first-Thursday-of-the-month Stammtisch on May 4 at 8:00 pm at Kolonnenstrasse 50 in Schöneberg. Guest speaker Sarah van Gelder, “YES! Magazine co-founder and editor at large speaking at our Stammtisch. Sarah drove 12,000 miles through the heartland of the United States, living in her tiny truck camper, interviewing people on Native American reservations, in rust belt cities, Appalachian towns, and southern communities. Her book, “The Revolution Where You Live: Stories from a 12,000 Mile Journey Through a New America” (Berrett Koehler, 2017), tells the stories of broken economies, devastated ecosystems, and communities shattered by racism, violence, and exclusion. But the focus of her book is on the extraordinary work of ordinary people who are transforming their communities, even in the places that seemed to have run out of hope.” Find details here. March 8 More photos here. Q1: What exactly is The Coalition? 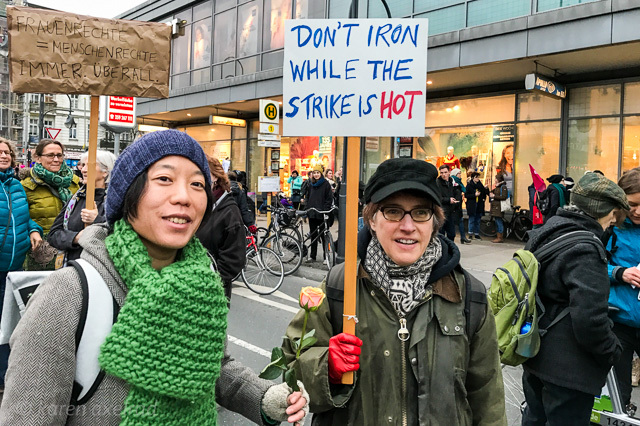 A1: The Coalition is an English-language network that seeks to resist both the right-wing Trump agenda and the agenda of similar parties in Europe through nonviolent activism. Q2: Who is in The Coalition? 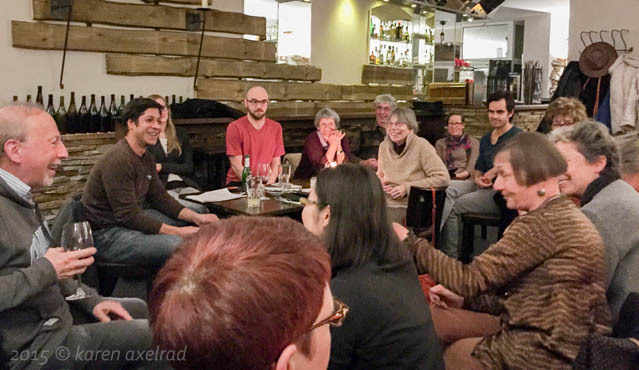 Come to our first-Thursday-of-the-month STAMMTISCH on February 2 at 8:00 pm. 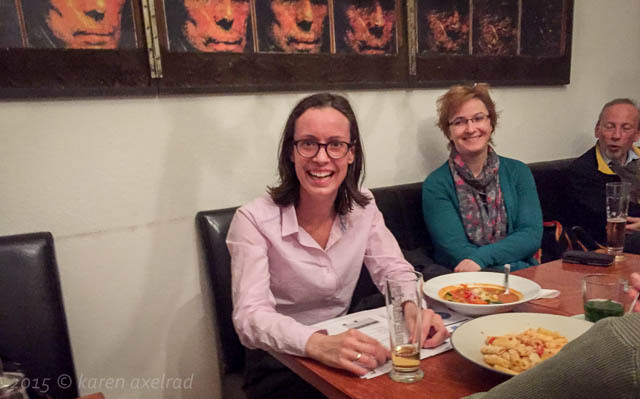 At the Stammtisch we would like to informally discuss our involvement in The Coalition. We will be at Cafe Daddy at Kolonnenstrasse 50 in Schöneberg right near S-Bahn Julius-Leber-Brücke. 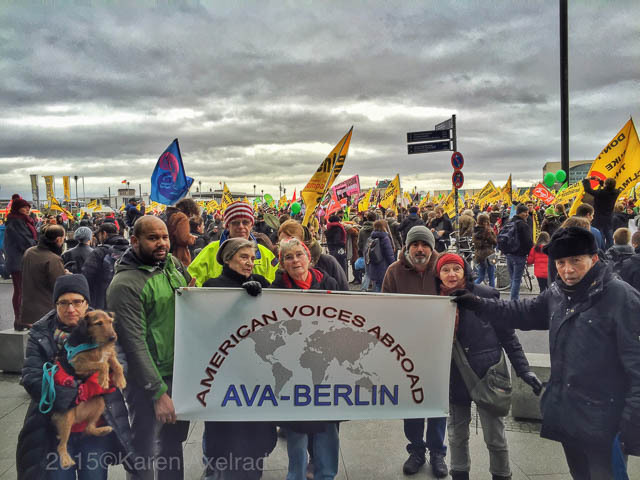 American Voices Abroad Berlin will speak out on Inauguration Day, January 20, to say NO TO GLOBAL TRUMPISM! 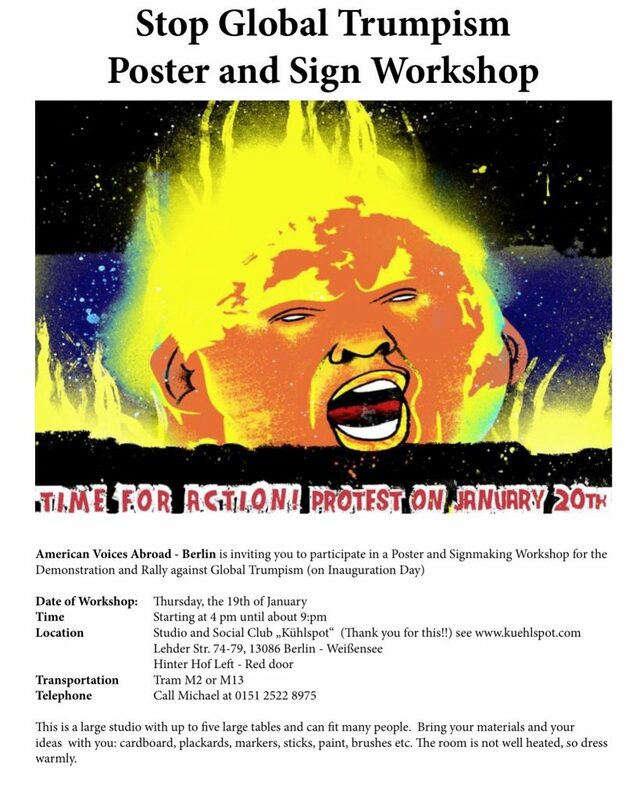 We will demonstrate in solidarity with all those in Washington, D.C., across the United States and around the world to say NO to Trump and to right-wing extremism here in Europe. On JANUARY 5, our first Stammtisch of 2017 will focus on the Electoral College and the National Popular Vote Interstate Compact that has gained momentum in recent years. States in the compact are promising that, if enough of them ultimately join the bandwagon, they will give their electoral votes to the national popular vote winner. BEN JOHNSON will explain the most important elements of this project. Ben is a scientist in the fields of alternative energy and materials science, and some of you may remember him from the early days of AVA. Well, Ben is back! So come to our first-Thursday-of-the-month Stammtisch on January 5 at 8:00 pm at Kolonnenstrasse 50 in Schöneberg. So, what do we do now? What’s happening? Let’s talk! Come to our first-Thursday-of-the-month STAMMTISCH on December 1 at 8:00 pm. We will be at Cafe Daddy at Kolonnenstrasse 50 in Schöneberg right near S-Bahn Julius-Leber-Brücke. 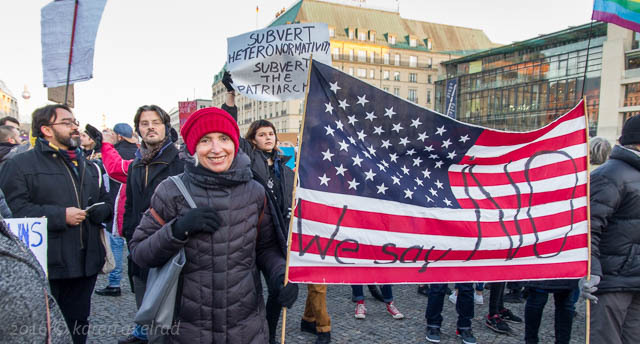 13 years later we dug out our dusty, slightly ripped flag and took it to the Brandenburger Gate to protest again the direction politics in the US has taken. We will be vigilant. Click on photo for the rest of the photos. 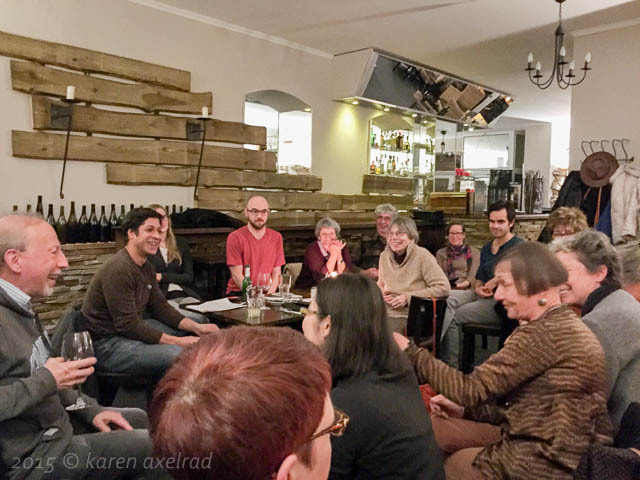 Come to our first-Thursday-of-the-month Stammtisch on November 3 at 8:00 pm. There’s no special event planned – so there will be time to talk about EVERYTHING. We will be at CAFE DADDY at Kolonnenstrasse 50. CAFE DADDY is a family-run Turkish cafe. We always look forward to meeting new people. 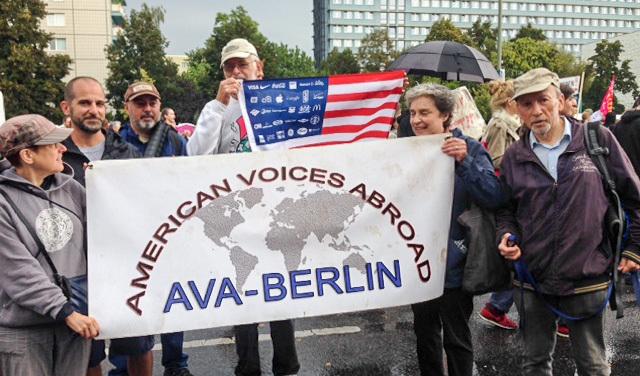 On Saturday, September 17, AVA took part in the anti-TTIP/CETA demonstration here in Berlin. 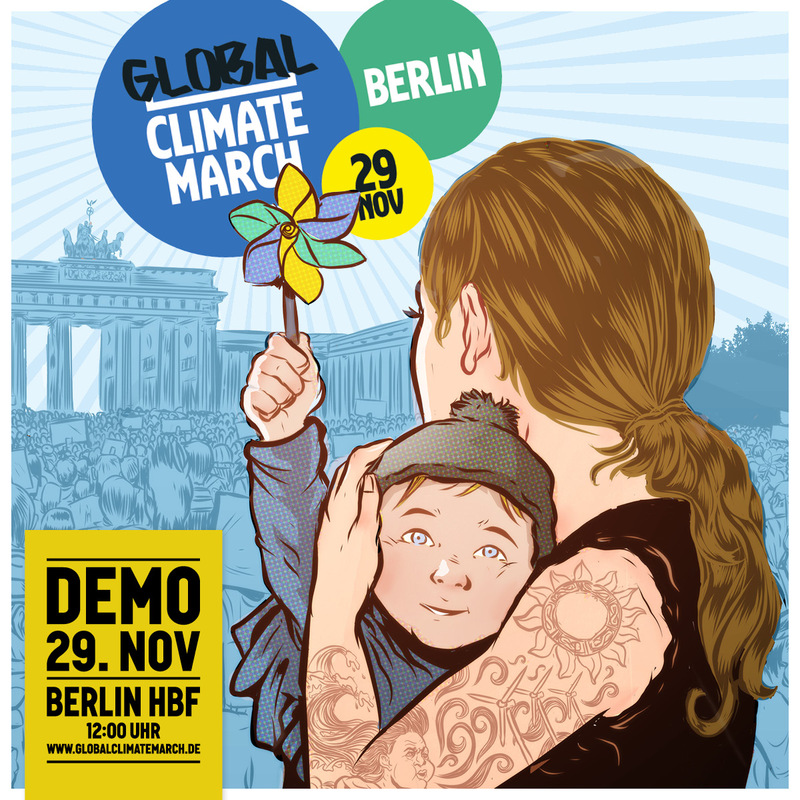 We joined our German friends from Campact, the Berliner Wassertisch, the World Wildlife Fund, Brot für die Welt, Oxfam, Greenpeace, Bund für Umwelt und Naturschutz, Attac, the DGB and many other organisations. Come to our first-Thursday-of-the-month Stammtisch on September 1 at 8:00 pm. There’s no special event planned – so there will be time to talk about EVERYTHING. And we can definitely make plans for AVA’s participation in the big anti-TTIP demo on September 17. For anyone who needs them, we’ve got leaflets and posters, and maybe even door knob hangers, explaining the treaties and advertising the demonstration. Time: 20:00-22:00: Raamson is on vacation–this is a Turkish cafe next door. Panel: Paul Edwards, Anjana Shrivastava, Prof. Dr. Martin Lüthe. Click on photo for more photos. 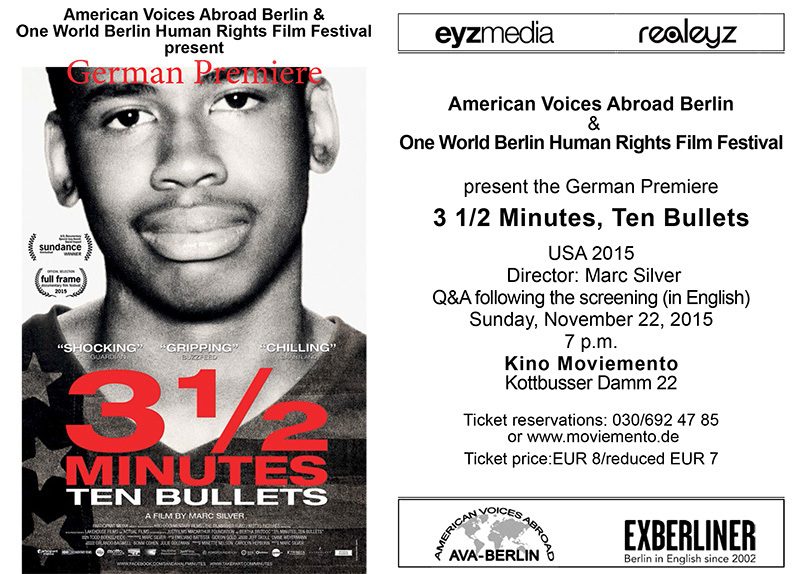 German Premiere of the film 3 1/2 Minutes/Ten Bullets directed by Marc Silver presented by the One World Berlin Human Rights Film Festival (organized by Natalie Gravenor) and AVA-Berlin. Introduction by Pam Selwyn. The film was followed by a panel discussion with Prof. Dr. Martin Lüthe (FU Berlin/John F. Kennedy Institute), Paul Edwards (DAAD Fellow), and moderated by Anjana Shrivastava. Q&A following the film with director Marc Silver (via Skype), Prof. Dr. Martin Lüthe (FU Berlin/John F. Kennedy Institute), Paul Edwards (DAAD Fellow), moderated by Anjana Shrivastava. 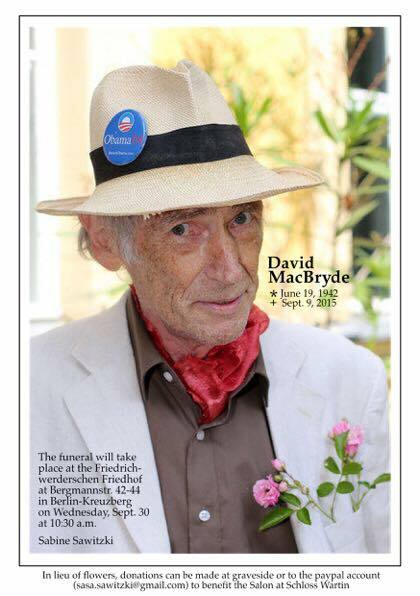 Our dear friend David MacBryde died of pancreatic cancer on Wednesday, September 9. His widow Sabine has sent us this invitation to David’s funeral on Wednesday, September 30, at 10:30 in the morning in the chapel of the Friedrichwerderschen Friedhof, Bergmannsgtr. 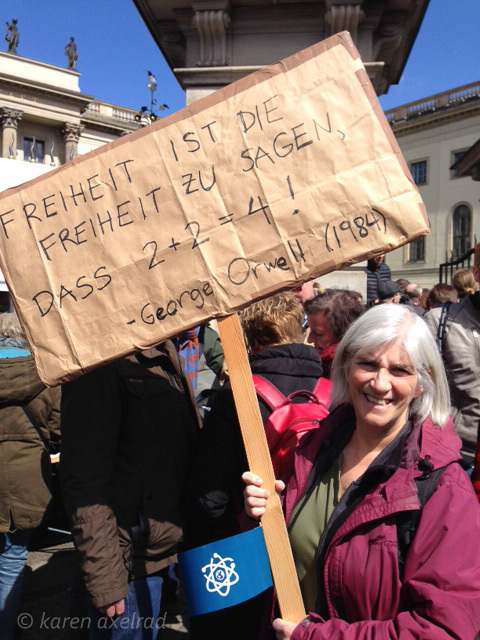 42-44 in Kreuzberg. 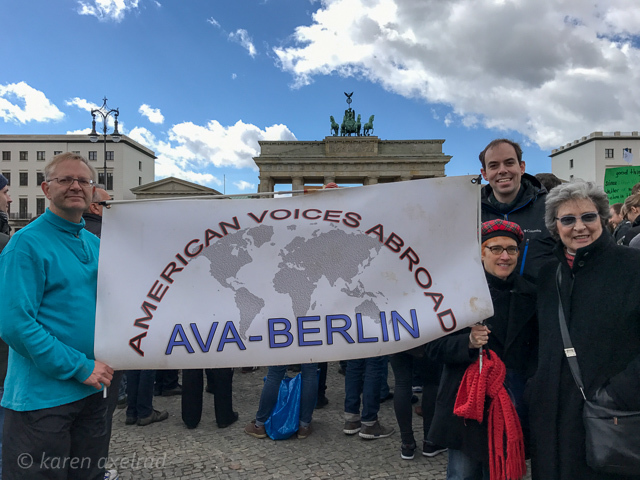 The next day, Thursday, October 1 at 8:00 in the evening, American Voices Abroad will dedicate its regular Stammtisch to David – we’ll look at photos and reminisce. All friends of David are welcome. 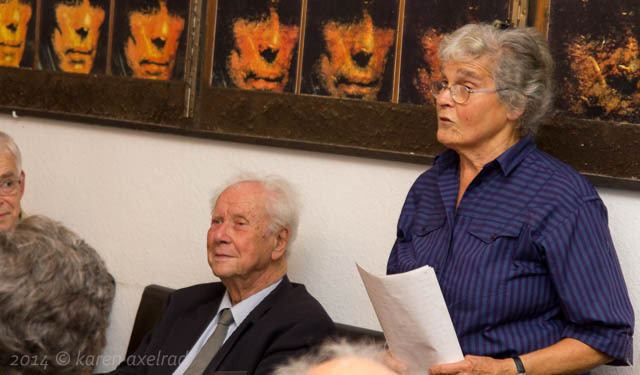 On June 4, AVA-Berlin dedicated the monthly Stammtisch to David Solomon. Ann Wertheimer read emails she received about David, Karen’s photos were shown as a slideshow, and other friends of David shared reminiscences. I’ve added these new photos to the album on flickr with the memorial service and some old photos of David. 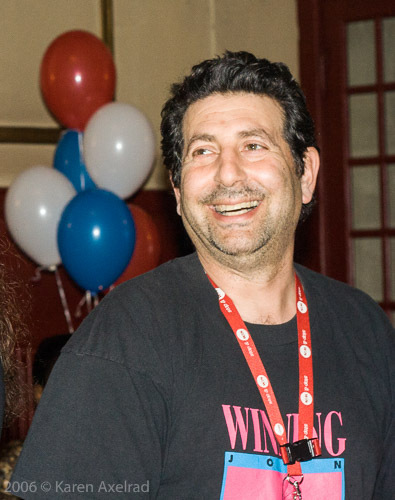 Dave Solomon’s friends are gathering to remember Dave and to mourn his loss tomorrow, Saturday, May 23, from 4:00 to 6:00 p.m. Dave’s parents, Mark and Pauline, and his brother Bill invite you to join them in the courtyard behind Books in Berlin at Goethestraße 69, 10625 Berlin. Feel free to bring memories to share. If you wish, you may donate in Dave’s memory to a cause that reflects his spirit, but the family prefers that you do not bring flowers. 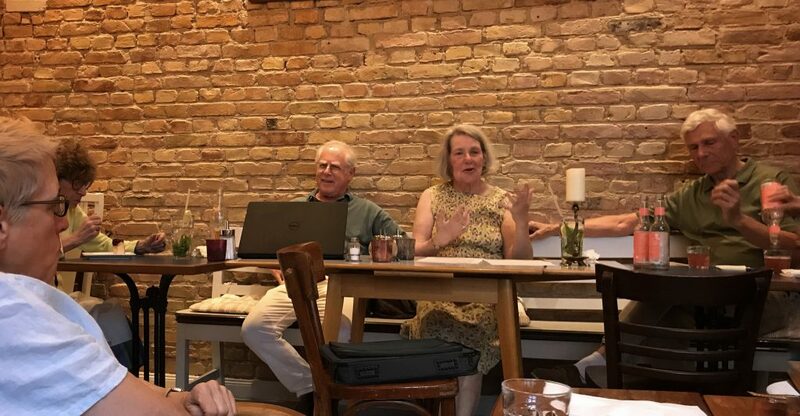 Stammtisch theme: “Facts and Trends in Immigration” guest: Dr. Henriette Litta, Head of Office Expert Council of German Foundations on Integration and Migration. Many thanks to our guest Dr. Henriette Litta for her informative talk about immigration in Germany. We had a lively discussion on this timely topic. 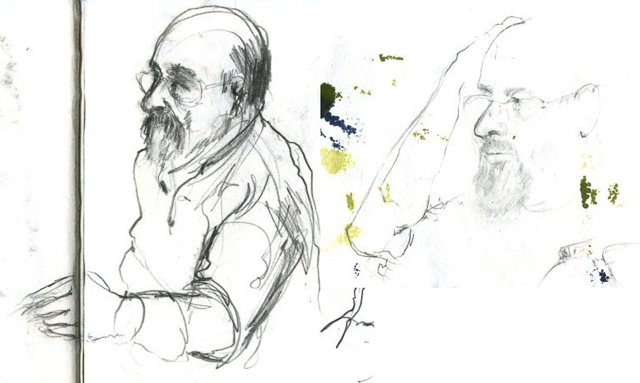 Drawings by CP, made at an AVA business meeting, found recently in a sketchbook. Our regular monthly Stammtisch meets at Café X-Zeit at Welserstr. 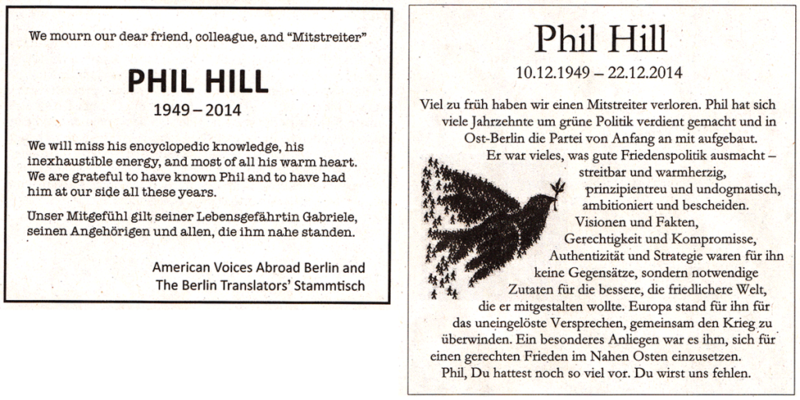 10-12 just a few steps from Viktoria Luise Platz at 8 p.m. Phil Hill, one of our founding members, died on December 22, 2014 (he is pictured above at our brunch at the beginning of Dec.). We intend to spend some time at the Stammtisch reminiscing about Phil, telling stories or passing around photos. 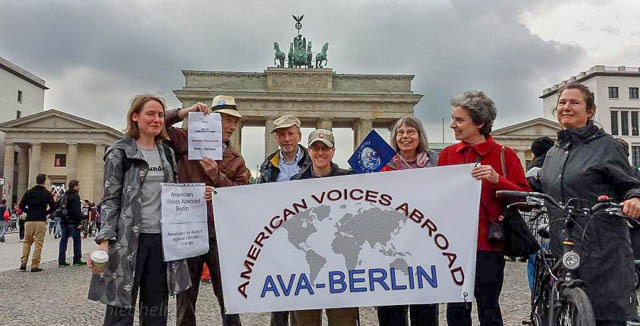 On Sunday, December 7, from 12:00 am to 3:00 pm, American Voices Abroad Berlin will again be holding its annual business meeting in the separate room at La Parrilla at Albrechtstr.11 right behind the Friedrichstrasse station. If you are coming from the S-Bahn, cross the Spree and Schiffbauerdamm and there it is. The meeting will begin promptly at 12:00. An excellent Mediterranean brunch will begin at 11:00 for all who are hungry at that hour or would just like to sit around and talk. This meeting is open to all AVAers but only paid-up members will have voting rights (you cannot pay at the meeting) . If you still haven’t paid but would like to, please transfer €30 (or, if that’s too much at the moment, a self-assessed lesser amount) to our treasurer. For details, click on MEMBERSHIP. The premiere of 1971 at the One World Film Festival was a great success. 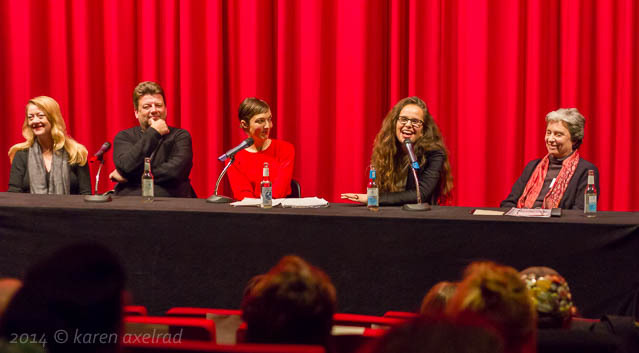 It was introduced by Natalie Gravenor and our own Isabel Cole, and followed by a panel discussion with, from left Annie Machon (former UK spy and whistleblower), Wolfgang Kaleck (European Center for Constitutional and Human Rights e.V. 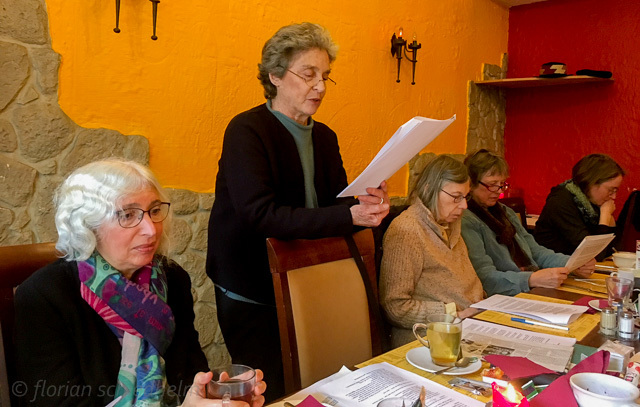 ECCHR) Nadja Vancauwenberghe (Editor-in-chief Exberliner Magazine), Johanna Hamilton (director 1971) and our own Ann Wertheimer, (in a double role as chair AVA-Berlin and telling her story of being spied upon by the U.S. army in the 1970s). 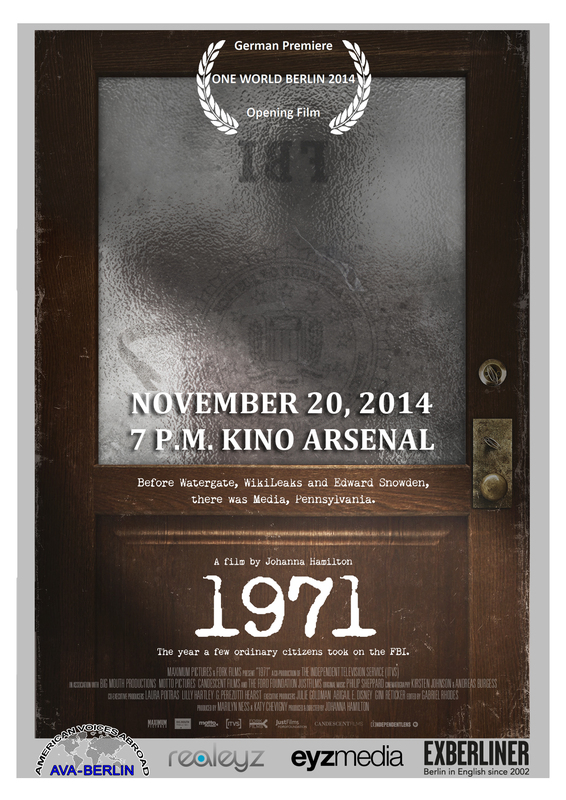 On November 20, AVA-Berlin will sponsor Johanna Hamilton’s film 1971 at the One World Berlin film festival. Co-produced by Laura Poitras, 1971 will open the festival on NOVEMBER 20, 7 p.m., at the ARSENAL movie theater on Potsdamer Platz. 1971 tells the story of the break-in at FBI offices in Media, Pennsylvania, in that year. Here’s the trailer for this ‘cat- and-mouse thriller’: http://www.1971film.com/. It’s a real bit of American history “before Watergate, Wikileaks and Edward Snowden”! 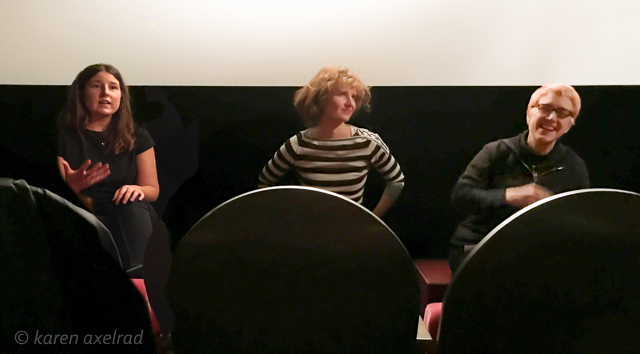 A discussion moderated by Nadja Vancauwenberghe, the editor of the Exberliner, will follow the screening. Special guests include director Johanna Hamilton, Wolfgang Kaleck of the European Center for Constitutional and Human Rights e.V. (ECCHR), and our own Ann Wertheimer as ‘Zeitzeugin’ of the surveillance here in Berlin in 1971. Additional special guests will be announced as soon as their presence is confirmed. It will be 50 years this coming September that Martin Luther King, Jr. visited West Berlin at the invitation of Mayor Willy Brandt. 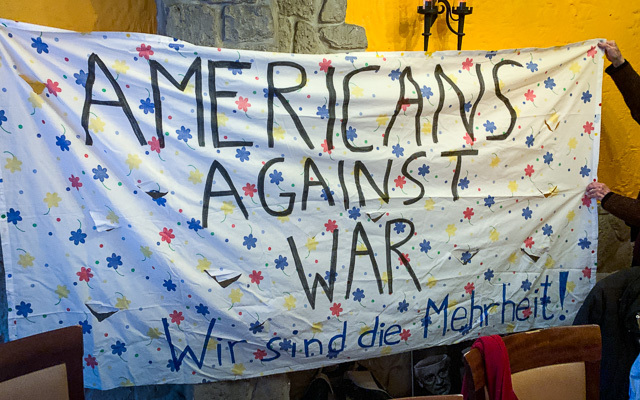 AVA’s own contribution to the Martin Luther King anniversary celebrations took place at its regular first-Thursday-of-the-month Stammtisch on September 4 at 8:00 p.m. On that evening we hosted the Rev. Ralf Zorn, an American Pastor in West Berlin and Dr. King’s interpreter and driver on that weekend 50 years ago. 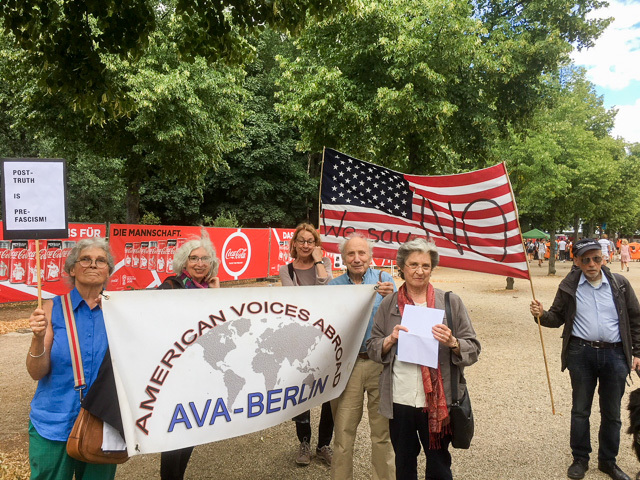 AVA-Berlin supported “Call to Action: Join the Mass Rally ‘Freedom not Fear’ against surveillance at the Brandenburg Gate in Berlin”. More information here. Not all the photos represent the views of AVA-Berlin. Photos of the Demo here. 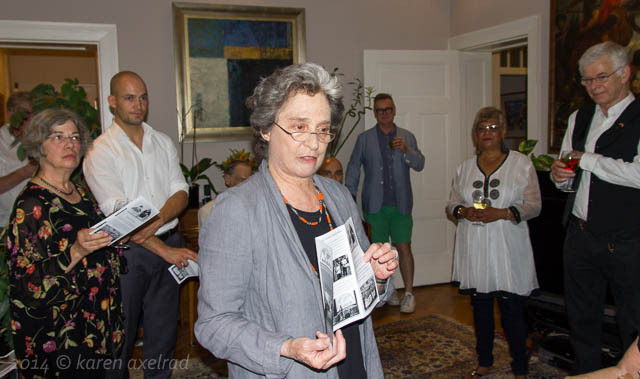 Our chair Ann Wertheimer briefly explained our organization at the Berlin Chapter of Democrats Abroad Annual Cocktail Party/Fundraiser. Our own Rich Rosen will give a talk with discussion on “The Science of Climate Change, and its Implications for Prevention” on June 5th at our monthly Stammtisch. 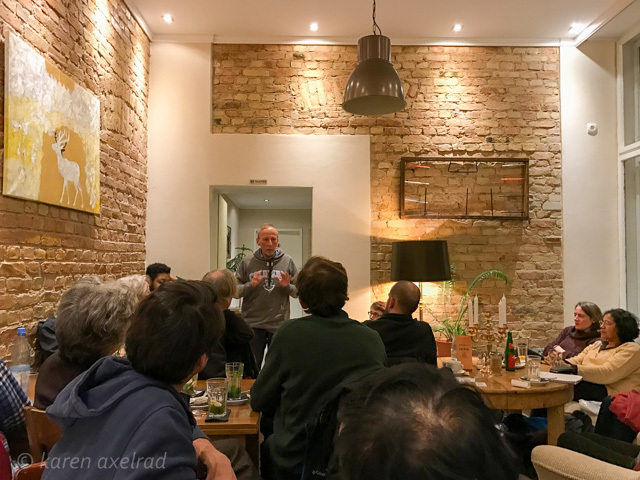 Our monthly Stammtisch will, again temporarily, meet at Café X-Zeit at Welserstr. 10-12 just a few steps from Viktoria Luise Platz. Rich, himself a scientist, has long traveled between Berlin and Boston working with the Tellus Institute – for a Great Transition – research and action for a global civilization of sustainability, equity, and well-being. The institute was established in 1976 as an interdisciplinary not-for-profit research and policy organization. The institute has launched a website called The Great Transition Initiative.